Shankar directorial upcoming film 2.0 starring Superstar Rajinikanth and Akshay Kumar in lead roles is busy with its shoot in New Delhi. In a dramatic situation, Akshay Kumar look from the film are leaked in social media and they are looking stunning. 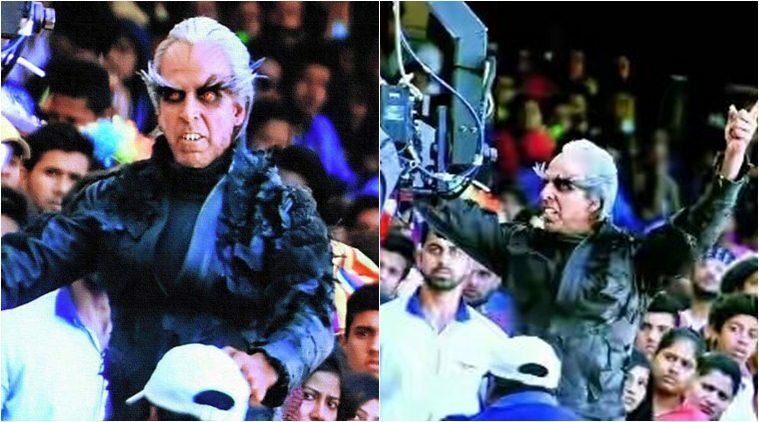 Akshay is seen in dracula look and couldn't guess that it was him. With this look expectations over this sci-fi action entertainer. Rajinikanth is romancing Amy Jackson in this film. AR Rehman is scoring tunes for 2.0 and Lyca Productions is bankrolling the film. Right now footbal sequences are being canned. Write & Share about "Akshay Kumar's look in 2.0 is trending | 2.0 (2 Point O) Tamil Movie News | Cinema Profile" !